How long will this Labor Day last? Too long. Now anyone who sees a trailer for this movie will automatically know that this movie is going to be a slower type of movie. Although I believe the term Chick Flick should be outlawed, that would be a nice word to sum up this movie. Chick Flick is a way people like to identify a movie that is meant for women. In today's day and age, that term could come of with gender inequality. Every movie is meant for anyone to watch it, not one specific type of group. If a director decides to make a movie geared towards one type of group, that can say goodbye to fifty percent of the money they could have gotten if the movie was meant for anyone. 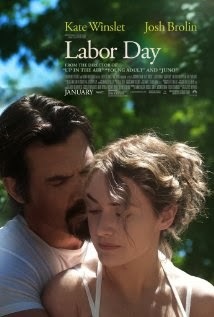 Of course Labor Day did have a nice message in the movie, except escaping from jail, don't do that, it's not a good idea. The movie will teach you how a depressed woman can find love in anyone, even a criminal. If you do end up seeing this one, pay attention closely as they like to flash around to different things going on in the movie that you will have to watch for. The good thing Labor Day did have was a great way to end. The movie ends on a high note and wraps up quite nicely where you will end up believing the end of the movie. You will also feel moved at the end, not enough to cry because I am a man, but it will truly touch you. Well of course I would have move things along a little quicker in the movie. I would have also added an element to relate to everyone in the audience, so that way all will be pleased in the movie. I would have not changed the end. The ending was correct and made for the movie as it should have been.